It’s Here A New Website! A New Blog! All New Digs for Crystal Starr Photography! Today calls for a celebration! It is time to FINALLY unveil my very first dedicated website for Crystal Starr Photography! Up until now I have relied on a piddly blogsite to serve both purposes. And while it worked, it wasn’t ME. It didn’t fit who I am and what I want my business to be. And as a result, I did NOT use it as much as I should have. It just was NOT working for me! So instead of bashing my head against the wall trying to update that mess I decided it was time to start fresh. Would you like a little peak? Well just click on the photo and you’ll be whisked away to enjoy it’s full beauty! Ok, cheesy… but fun right? Oh wait! Don’t go yet, there is a little fun just for you at the bottom of this post! You won’t want to miss it! Now of course my new site isn’t everything I want it to be. I’m still learning and experimenting. I want to add more of ME to the site. But we’re off to a great start. It features some of my favorite things. Purple, lilacs, and my favorite clients from the past year or so. Ok, so to be fair, I have more favorite clients than just those you see in the galleries. I just couldn’t fit you all in! I’m sorry! By the way, thank you to each and every person who has supported me in the launch of my business. It has been one heck of ride! To say thank you, I would like to give fans of my Facebook Page who book a session in 2011 a gift of a $25 print credit redeemable for any of my products. The holidays are over! Many of my clients asked me not to share their photos until after the Christmas season as many of them wanted to gift their photos to friends and loved ones. I didn’t want to spoil any surprises so I have not blogged many of my fall sessions. Well it is time to start! Today I bring to you the absolute sweetest family. I was given the honor and privileged of being welcomed into their home when their newest arrival was just 5 days old! What a doll! And his big sister cracked me up the entire time. Big sis is a typical spunky 2 year old with lots to say and lots of love for her baby brother. We had a ball. Adam and Lindsay thank you for a great session! Would you just look at these two adorable little boys? Their eyes are just absolutely amazing! They just sparkle and radiate! What a fun session this was! We arrived at Hubbard park on a clear crisp beautiful autumn day. The trees were absolutely at their peak of color. But these two little boys stole the show. We ran and we laughed. We climbed and yes, we even splashed in a few puddles. All in the name of good fun! It is sessions like these that make this job the best in world. Thank you so much Kerri! Your boys were just love and I was privileged to photograph them! My to do list these days is endless. Crystal Starr Photography is absolutely exploding! What a ride! The blessings God is bringing me through my camera are exhilarating…. and exhausting! It isn’t always easy keeping up with what is essentially a full-time business, a husband, and three children (two of whom I am homeschooling and the third of which I exclusively nurse). I rise early and fall to my pillow late. The most important business related item on my to-do list this evening was delivering a print order to a recent client. I usually love delivering prints. I love the ooohhhs, aaaahhhs, and smiles. It is fun to bring a bit of happiness into people’s lives. The conversation tonight over the open box of prints did not disappoint. The family was happy with the final product. Horray! But then Mom held the 11×14 print of her gorgeous daughter near the spot on the wall it will soon grace. Suddenly, for me at least, the photo came alive and took on new meaning for me. It became not just something pretty on my computer screen (as I see my creations on the computer FAR more than any other place I have the opportunity to see them – it is the nature of the digital photographer). But something precious for this family. Jeanette is growing up. She’ll be off to college soon. Her whole life awaits her. I know it sounds corny and kooky and what have you, but I can sort of imagine Jeanette’s future children – and dare I say grandchildren – admiring these photos and gushing over how gorgeous she was when she was just a young lady ready to strike out into the world. No they won’t think of me the photographer during those moments. But something I created will be enjoyed and have precious meaning for a long time to come. That just makes me feel all warm and fuzzy inside. I’m not sure I can look at this photo in just the same way ever again. Thank you to Jeanette’s family for blessing me with so much with just this one photo shoot. FAQ: What do your spiral bound photobooks look like? In the past I offered something called a session album as part of a couple of my packages. I found the description must not be very clear because most of my clients asked me what exactly that was. So I’ve decided to rename the product. I think Spiral Bound Photobook is a bit more accurate. It features front and back custom designed sturdy covers. These books are absolutely adorable and perfect for toting around in your purse and sharing with others. They make fantastic gifts as well! I feature the 5×7 version in my packages but they also come in 4×6, 5×5, and 8×10. Since a picture is worth a 1,000 words I thought you’d appreciate a visual of exactly what I am talking about. I created this album for one of my recent clients. I was quite pleased with how it turned out. Of course, I did have a gorgeous model gracing the pages. What a stunning young lady! I recently had the opportunity to photograph Jeanette. What a privilege it was to have her stand before my camera. Not only is she absolutely gorgeous! But she is also a total sweetheart. Of course we chatted it up during our session. This young lady is absolutely full of grace and glass. Jeanette is a stellar student and athlete. She is captain of her math team for goodness sakes! Jeanette, thank you for a fantastic session! Have fun with your senior year. I’ll be looking forward to updates about you as you graduate high school and step out into the world. I have no doubt you will go far! I hope you enjoy Jeanette’s photos as much as I enjoyed creating them. Happy Birthday To My Ezra! Today is a special day! It is my baby boy Ezra’s THIRD birthday. Goodness how did that happen! He really isn’t a baby any more. You know how it goes. They just grow too fast! So let me tell you about Ezra. He came hollering into the world just before 10pm on October 14th weighing in at a healthy and hefty (no pun intended) 9lbs 2oz! TWO POUNDS bigger than his big brother was when he was born. We were blessed with with health and happiness. He gained weight quickly and easily and all has been well for his entire short little life. Ezra is definitely my little man. Early on he seemed to favor men over women and Mommy over almost everyone. Except for those times when only DADDY would do. He has always been sweet and loving yet at the same time his emotions can swing large! If he isn’t happy, boy will you know it. If he IS happy, boy will you know it! From the moment he laid eyes on his big brother Noah it was total love and an ultimate bond. Ezra observed every move Noah made right from the time he was just a little new born. We used to let Noah ride his bike in the kitchen. Ezra, at just a couple of months old, would sit in his highchair watching, no studying is a better word, from afar. But you could tell that he couldn’t wait to be able to do that himself some day. As Ezra grew he took on the attitude that if his brother could do it he could too. And you know what, he’s mostly been right. The brothers are inseparable. The thing about Ezra that strikes me the most is his total servant’s heart. That little boy lives to help others, do for others, and make others happy. He will share his last special treat, pick up a dropped item, and even bring mommy her breakfast when she is busy nursing his baby sister. It brings Ezra total joy to serve others. He teaches me a lot every single day! Love you Ezra! Mommy couldn’t be more proud! Happy Birthday sweet cheeks! Oh, and don’t wish him a happy birthday. It totally embarrasses him and he hides! Oh my goodness is she ever full of so much personality! My sweet baby girl Joyanna is just… well… she’s just…. I don’t even have the words to describe her! In the last few weeks she has become so vocal, so animated, so a part of her world that I am just in awe! I thought I’d share a little bath time fun. Pictures fail to capture the true action as she just LOVES to splash and kick and splash some more. All while squealing with utter delight. She is the picture of happiness. Her name suits her perfectly as there has been nothing but Joy in this household since the day she was born. That’s a sentence I bet I’ll type many times over on this blog during the course of her life. The Joy of a Family Session! Family photo sessions are some of the craziest yet most fulfilling sessions I shoot. Why do you ask? Well, because children are involved of course! Children are the funniest little beings. They are God’s special gift from heaven to every person on earth. They come to us in order to teach us right from wrong, patience, kindness, acceptance, and to remind us how really magnificent this world really is. Some people claim they aren’t “kid people.” Whatever that means. I guess what they are trying to say is they don’t enjoy children. Or some people tell me that they raised their kids and now their done and no longer have the tolerance for little ones. I think that’s sad. Children bring so much to the world that those who choose not to notice are really missing out on some greatness life has to offer. When I sign on to shoot a family I know I’ve signed on for a great adventure and a challenge. Little ones have their own agenda. They have their own ideas. They have their own attitudes (both positive and negative). I promise you, at least ONCE during ANY shoot involving children that their agenda will be different from mine. But it is in those moments, if I am calm and sit back, that I often find my best photos. During shoots with children, the children are the true artists. Not me. I recently had the opportunity to shoot a very fun loving family. These two little ones, N & G were so full of personality! Each of them brought one of their personal loves into the shoot (Thomas and Pooh). I LOVE that! It adds so much to photo about who the children are! These two little ones absolutely adore one another. So much so in fact that they sometimes pretend that they don’t. But in the end they both shined before the camera. I do hope I get a chance to shoot them again sometime. Thanks mom for the chance to do it! Homeschool Day at the Museum! Three weeks later and we’re still homeschooling! No I haven’t been driven crazy, nor have I run screaming from my home while pulling my hair out in chunks. Oh I’m just kidding. In all seriousness we’ve had a fantastic start to the new school year. We all have our favorite parts of the day. I enjoy snuggling on the couch with my crew while reading a classic children’s book. So far we’ve done short studies on China and France. Noah truly enjoys the art lessons. He has learned new drawing techniques and explored new art mediums. Ezra loves the computer most of all and asks for it immediately after breakfast every day. I think everyone is thriving on the structure and routine. They get pretty mad when I refuse to break out the books on Sundays. Too much! Tuesday was homeschool day at the Children’s Museum in West Hartford. We are blessed to have a membership so we go fairly often. It is a favorite hangout for my small crew. Ezra enjoys the flight simulator, Noah enjoys… well… I’d say just about everything. This week the museum hosted a day just for homeschoolers. Families could register ahead of time for various classes that were offered by some very knowledgeable and skilled instructors. 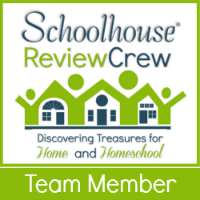 It was a fantastic day of learning and mingling with other homeschool families. The highlight of the day must have been the bobcat. It is ALL Noah has talked about since. Other than that the big deal was his class on bugs. Mommy wasn’t aware that parents weren’t allowed to stay in the room during class. This isn’t a common practice for homeschool classes. After all, homeschool parents are homeschooling their children for a reason. But apparently past parents made too much of a ruckus so they aren’t invited any more. Noah is the kind of kid who likes to know what is going to happen and isn’t fond of surprises. Well, Mommy leaving was a surprise. I played it off as really cool and what a big boy and I hit the road… err… the hallway – where I waited for most of the 45 minutes. He later told me that he was really sad I had to leave but he decided to be brave. He had his friend Ella for company so I’m sure that helped. In the end, he was totally proud of himself and so was I! It really was a great day! Next week we’ll be heading to an apple orchard! I’m sure there will be plenty of photos to share!